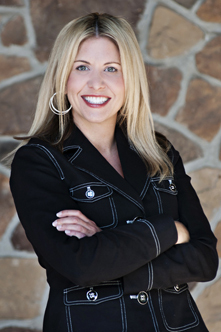 A graduate of the University of Arizona, Andrea West is an expert in our dynamic real estate market. Over the past ten years, Andrea West has consistently been a top performer in Scottsdale and the Greater Phoenix area. She has garnered the company's top awards in every year she has worked for the company. Andrea has also passed all parts of the Certified Public Accountant examination. Although she is not currently a practicing accountant, this gives Andrea an added perspective when helping her clients find their new home, or helping clients sell their current home. She truly understands the role a home plays in her clients' overall financial goals with a depth many other realtors cannot achieve. Andrea's current and past clients include the Arizona Cardinals, Bank of America, Blackboard, Dana Corp, Deloitte & Touche, Ernst & Young, Farmers Insurance, Fortune Contracting, Hewlett Packard, Insys Pharmaceuticals, Koch Industries, Panera Bread Company, Pittsburgh Steelers, Sunoco Oil, University of Phoenix, Valley Physicians, Commercial and Residential Investors, Private Business Owners, Retired Corporate Executives and Second Homeowners. You may contact Andrea directly at 480-991-WEST (9378). Or, you may email her at andrea@andreawest.com.